It’s tempting to review a book on cryptic crosswords through some ingenious cryptic clues themselves – but in this instance a simple review will suffice. 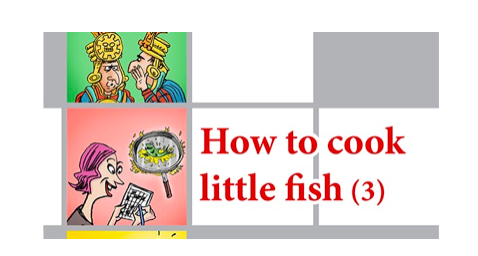 How to Cook Little Fish is a fun New Zealand Listener compilation of cryptic puzzles, and if you’re a novice and always wanted to be better at cracking those frustratingly simple-looking clues, this is the book you’re after. In all honesty, if you’re a London Economist crossword fan and have been doing it for close to 40 years (like my Dad) you might find you flick through this compendium in a few minutes. If however, you are like the majority of keen beans who would like to develop their intellectual skills at verbal dissection (without necessarily downloading an app) then this is a real treat. A piece of advice: DON’T flick to the answers at the end. Yes, I know it’s tempting but it really just wastes time trying to actually figure out the rationale behind the puzzles and they are quite logical. Of course, you only discover that once you’ve tried to figure out the crossword yourself, checked the answer and discovered you’re way off the mark. How to Cook Little Fish will make a fab little Christmas present, especially to have handy after that massive lunch when the body is in a soporific state but the brain is still hungry for some intellectual sustenance. Pick up a copy and see if it works for you. Sure did for me.